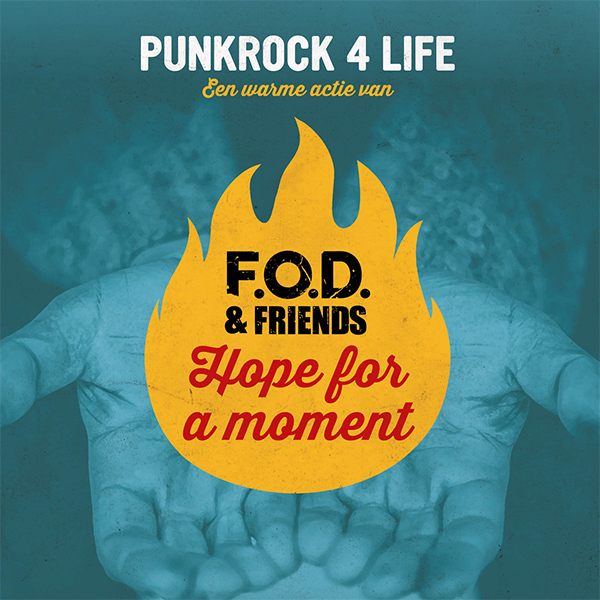 Skatepunkers: F.O.D (& Friends) release video for new song "Hope For A Moment"
F.O.D (& Friends) release video for new song "Hope For A Moment"
Belgian punk rockers F.O.D. releases it's new single "Hope For A Moment" in the context of "Music For Life", a yearly action for charity by Belgian national radio station Studio Brussel and in favor of 'Wereld-Delen', which tries to improve the well-being of disadvantaged people. "Hope For A Moment" features some 'Friends' out of the Belgian punk rock and metalscene: Minx (Flatcat), Roos Van Acker, Tim Van Doorn, Hanne (For I Am), Jeroen (Fleddy Melculy) and Steven (Off The Cross). You can support the project right here. Punkrock 4 Life by F.O.D.